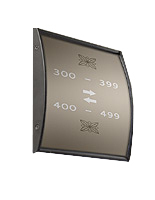 This Sign Supply is In Stock and is One of Thousands in Our Fast-Ship Warehouse! 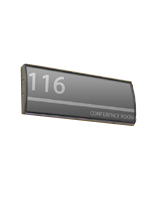 Buy This Cheap Sign Supply In Bulk To Provide Your Company With Long-Lasting Signage! Media Size: 3" x 5"
2.5" x 8.5" 3" x 4"
3" x 8" 3" x 11.5" 3" x 15" 4" x 5.5" 4.5" x 24" 5.5" x 6" 5.5" x 9" 5.5" x 15" 6" x 7.5" 6" x 8.5" 7.5" x 10" 7.5" x 11.75" 8.5" x 11" 8.5" x 16.5" 11.5" x 17"
Durably constructed from anodized aluminum for years of use. Includes non-glare lens for easy viewing. Suction cup provided to lift the lens for fast graphic changes. 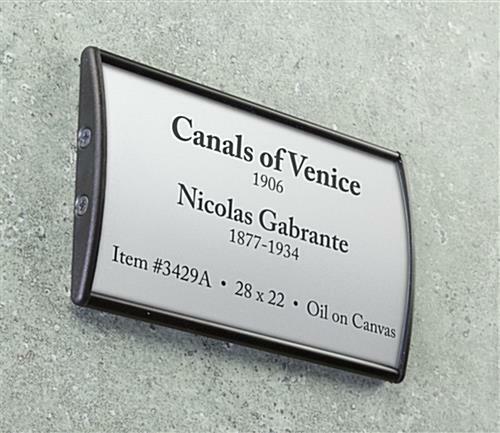 Double-sided adhesive on back of sign for wall mounting. This sign system, sign supply is sold without images. Clients can then produce and print their own images using an ordinary printer. 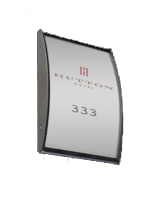 This wholesale sign supply in stock online is usually used to exhibit employee names, warning signage or room numbers. 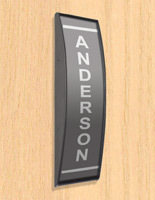 Signholders are usually affixed to the wall, in both upright and horizontal orientation, with the double-sided tape provided with your order. Every sign supply includes a non-glare lens to shelter your prints from getting dirty or ruined. The overlay also deters glare from hindering the view of these prints. 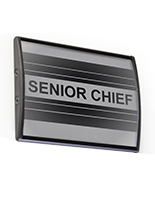 Your order also comes with a suction cup, engineered to lift the non-glare lens for simple and quick sign updates. 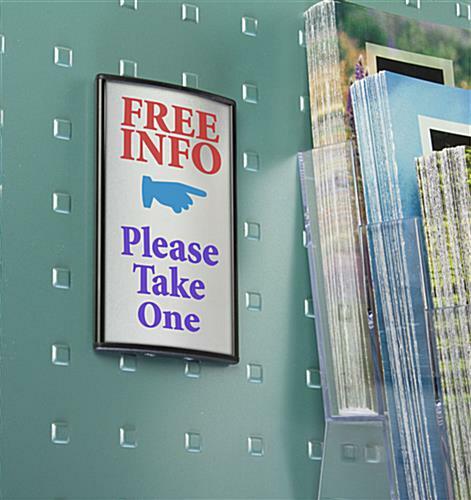 This sign supply, also recognized as a door sign exhibit, is usually utilized alone or in sets to make workplace directories. 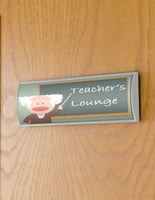 This discount sign supply for business is an ideal instrument to assist visitors throughout a company or institution. 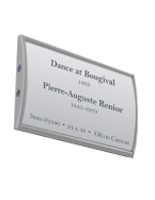 The anodized metal composition means this sign supply is extremely long-lasting, guaranteeing its survival for years. 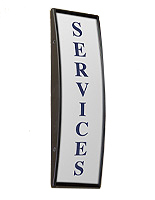 The curved design assures the sign supply will draw awareness, and get your subject matters recognized. The smooth black finish allows this merchandise to effortlessly blend into any environment, and match with any decor. 3.1" x 5.3" x 0.5"